At Janssen Research & Development, we are deeply committed to patients with neurodegenerative diseases and to the health care professionals who care for them. Our goal is to develop a culture of innovation and bring forth new treatments for those with great unmet medical need. Our strategy is to harness the best science in the world, both from our own laboratories and through strategic relationships and collaborations with academia and knowledge centers. Collaboration will drive the types of discoveries that will ultimately improve the prevention, diagnosis and treatment of neurodegenerative diseases for generations. We are dedicated to partnering with others who share our vision and want to work together to build the treatments of tomorrow for neurodegenerative diseases. We believe that partners are essential to driving change, innovation and transformation, and we are committed to ensuring the success of our collaborations. To that end we have created a framework for collaborative research and scientific exchange in neurodegenerative disorders between academia, knowledge centers and Janssen's centers of excellence in Neuroscience. 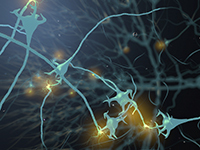 With a strong presence in Belgium as a medical innovator and a catalyst for building research partnerships in complex diseases, Janssen is encouraging the Benelux scientific community to attract top researchers to submit proposals for cutting-edge research that address major unmet medical needs in neurodegenerative disorders. The initiative covers all aspects of translational research, including basic discovery, biomarker development and clinical research. Our aim is to encourage advanced research that will unravel the pathophysiological mechanisms of neurodegenerative disorders to generate therapeutic solutions, integrated care models and end-to-end approaches as possible disease strategies. The objective is to gain deeper insight into neurodegenerative diseases and ultimately accelerate delivery of breakthrough options to prevent, diagnose and treat them, ultimately help patients to live better lives. Janssen will define the overall strategy for proposals but any original "out of the box" ideas that might shed new light on the understanding, diagnosis or treatment of neurodegenerative diseases will be evaluated. Neurodegenerative diseases are characterized by the gradual, progressive death of neurons, leading to a loss of function of the nervous system. There are remarkable parallels among the disorders. 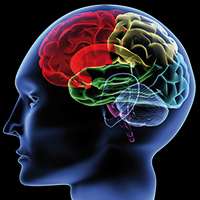 Genetics play a role in many neurodegenerative diseases. This includes genetic mutations, sometimes in common classes of genes. Familial forms of neurodegenerative diseases are often rare while non-familial forms are common. Other hallmarks of various neurodegenerative disorders involve abnormal protein assemblies. Some disorders are associated with protein misfolding and others with the accumulation of intracellular toxic proteins. Both the apoptotic and non-apoptotic pathways have been implicated in neurodegeneration, but cell death is generally due to apoptosis. Mitochondrial dysfunction is the most common form of cell death. Mutations in mitochondrial DNA and oxidative stress both contribute to aging, which is the greatest risk factor for neurodegenerative diseases. With age as the greatest risk factor for many neurodegenerative diseases, the world's rapidly aging population urgently needs more treatment options and cures. While several approved drugs, to some extent, alleviate symptoms of several neurodegenerative diseases, their chronic use is often associated with debilitating side effects, and none seems to stop the progression of the degenerative process. The development of effective therapies has been impeded by our limited knowledge of the causes and the mechanisms by which neurons die in neurodegenerative diseases. Yet there are many similarities among them. A better understanding of these similarities and how to impact them may lead to therapies for a broad range of neurodegenerative diseases. For example, gene expression profiles of diseased neuronal populations may reveal mechanistic clues to the molecular pathogenesis underlying various neurological diseases and aid in identifying potential therapeutic targets.